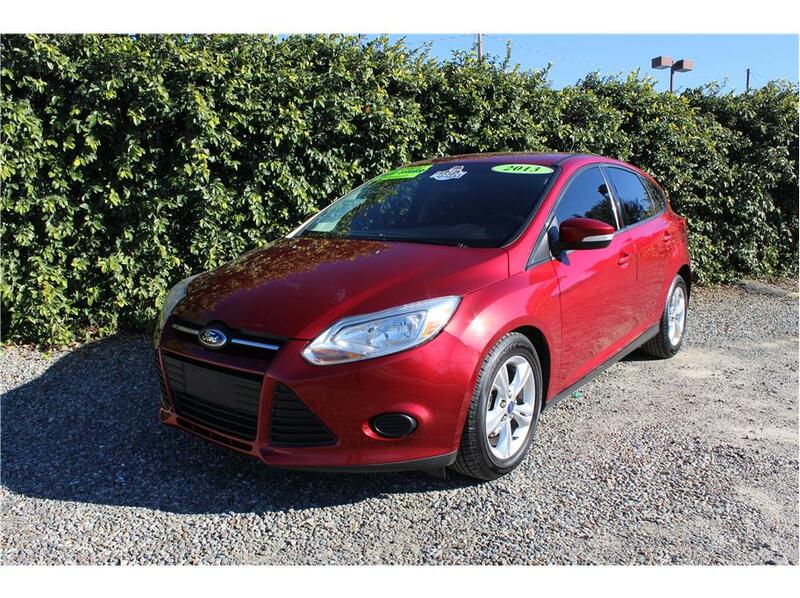 This really nice 2013 Ford Focus SE hatch back comes with a 2.0L 4Cyl engine and a newly rebuilt automatic transmission with two year warranty from Ford. This Focus comes with awesome factory features like a 4.2in display screen, Bluetooth connection with integrated steering wheel controls, Microsoft Sync voice recognition, USB input, cruise control, power group and an impressive 27city/38hwy! Our Ford just went through a complete 151 point inspection and received a full oil change service, rear brake rotors were turned, fresh rear brake pads and brand new spark plugs. This car makes for a perfect everyday driver! Don’t let this you pass you up, come test drive It today!